Email marketing is one of those things that takes seconds to learn (assuming you’re tech savvy) but a lifetime to master. The key to effective email marketing is to apply the best tactics and strategies to reach and affect a target audience. This means keeping up with latest research as well as trying new things. Here are five stats that will make you a better email marketer. According from Experian, in the fourth quarter of 2013, 46% of transactions were generated via the coupon link in emails with online-only coupons. There are two takeaways from this statistics that ecommerce retailers should take note of. First, it is essential that ecommerce sites encourage and facilitate email opt-ins, there is a clear potential for greater sales by reaching current customers through email. Second, this shows the value of online coupons for ecommerce retailers. Nearly half of the transaction in the fourth quarter (which includes the holiday season) were for online-only specials. If online retailers want to catch consumers before they shop in a store, a good offer is needed. A recent study from Pew Research Center noted that 52 percent of US cell phone owners access emails on their phones. This clearly makes smartphones, rather than desktops or tablets, the option of choice for consumers. This means marketers should design their emails with smartphone users in mind first. Responsive design makes it possible for emails to work on any size screen, but that won’t help if the email is written with too much text for someone on the go to read, or if the design elements look horrible when shrunk. Remember, responsive design works in both directions (i.e. if it works on a smartphone, it will work on a tablet or desktop). Emails with coupons have higher open, click, and transactions rates, and have revenue per email that is 48 percent higher than other promotional emails, according to the Experian report noted above. This second stat from the Experian study also has two takeaways. The simple takeaway is that coupons and discounts are valuable assets for all email marketing campaigns, not just those for online retailers. A more important thing to learn is that discounts need to be upfront in the subject line. The old economic rule that people respond to incentives is in full force here. Given the incentive of a discount, people were nearly 50 percent more likely to engage with the content. While this is technically three stats, they’re all helpful in the same way. When deciding on the content that will go in an email , keep these three things in mind. ShareThis reported that 7 percent of online content was shared by email. This may seem like a small amount compared to the 56 percent of content shared on Facebook, but it’s actually in line with the amount of content spread on Twitter (12 percent) and Pinterest (10 percent). Marketers should strongly consider using email marketing as part of their content marketing strategy. 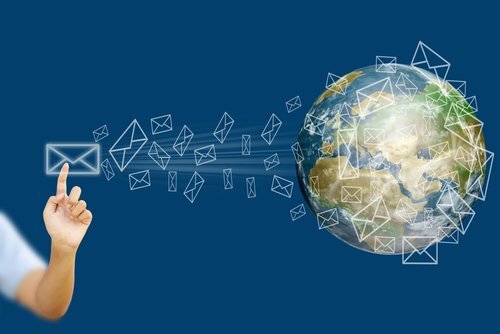 Email marketing may seem old fashioned in the age of mobile, social , and apps, but there is still a lot of value to this marketing tactic. As this data shows, by applying knowledge and research to an email marketing campaign, business owners and marketers can increase their sales and the reach of their content.